It’s not easy to be an expectant mom during the busy Lunar New Year holiday, as there are a lot of traditions to follow. 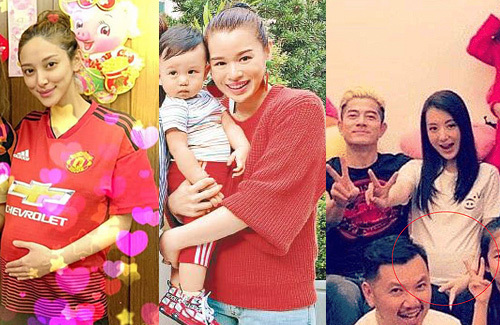 But these three celebrity moms who are currently pregnant decided to simplify the family gatherings while still enjoying the vibrant atmosphere. On the second day of Lunar New Year, Myolie hosted a barbecue at her house and invited her friends and their families. Although some food preparation may be involved, with all the husbands around to help cook, she can catch up with all her friends and see their cute babies too. At the event were Stephanie Che (車婉婉) and her son; Sarah Song (宋熙年) and her husband Jason Chan (陳智燊); William So (蘇永康) and his wife; Nancy Wu (胡定欣); Mandy Wong (黃智雯); and Selena Li (李施嬅). 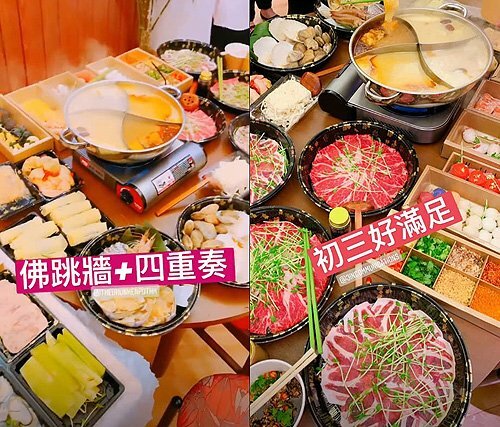 Currently nearing the end of her last trimester, Grace Chan (陳凱琳) was in the mood for hot pot. 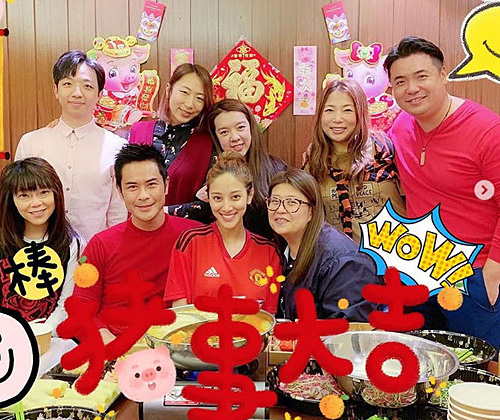 Grace and her husband Kevin Cheng (鄭嘉穎) hosted the gathering on the third day of the Lunar New Year, inviting their friends from outside the industry. The hot pot was filled with abundant seafood and four broth choices to suit everyone’s tastes. It’s much easier being a guest than hosting. 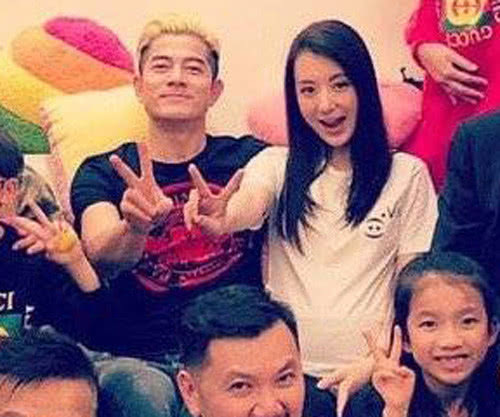 Moka Fang (方媛), who is currently in her second trimester, just tagged along with husband Aaron Kwok (郭富城) for the New Year festivities. 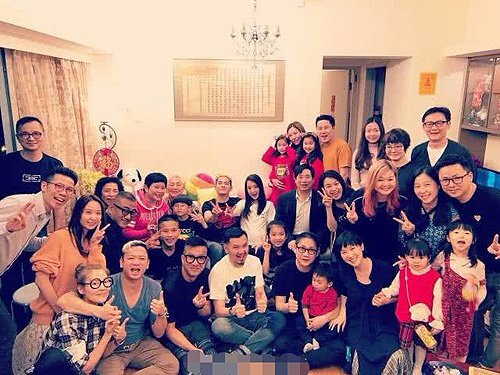 Aaron’s manager, Siu Mei (小美 ), had a large gathering to celebrate the start of a fruitful year before Aaron gets busy filming music reality show Produce 101, Season Two <创造101>. Good article with informative pictures, highlighting the festivities around family and friends during the Lunar New Year. Poor Grace looks so tired! I was thinking how good she looks without makeup. At least all her features are still there and still the same person not like others…. @m0m0 Oh my, I find her so much older without the makeup. She looks sick with the lack of colors and dark eye circles. @sugadough Yeah. Very different from what she posts on her social media. Love the summary rather than just a direct translation of articles. Appreciative that they are on break from work so allow them to be relax without make-up and not be critical over their natural looks.